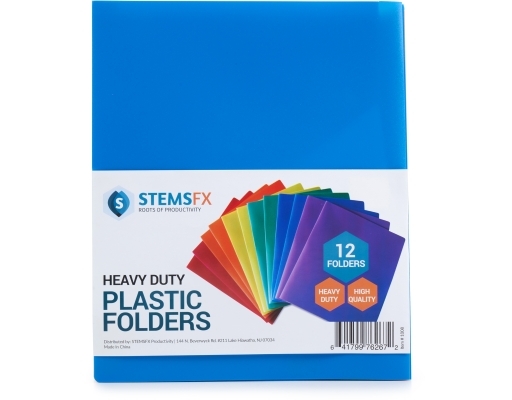 High quality and heavy duty folders in assorted colors. 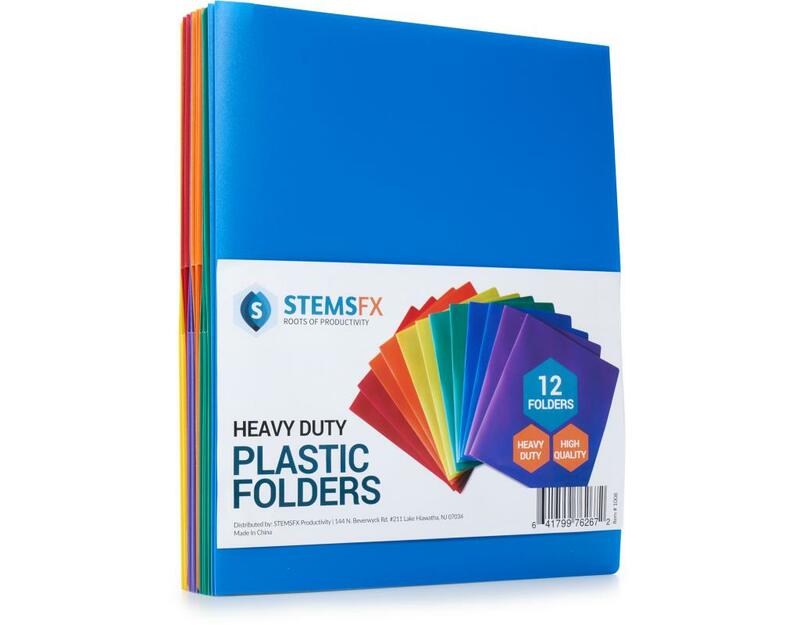 With this 12-Pack, you'll always be organized and prepared. Keep your documents secure and easily accessible with these durable but lightweight folders. 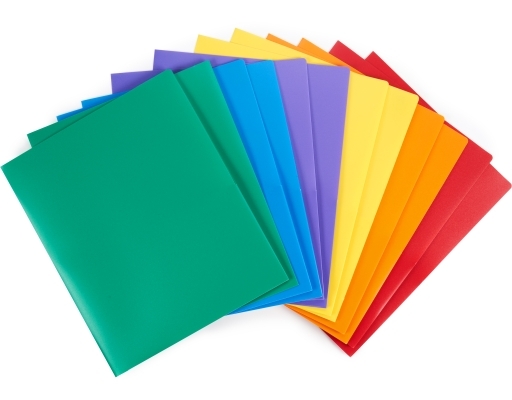 They last and hold their shape. 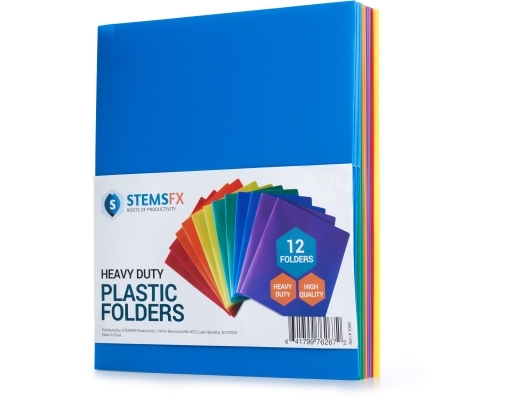 Assortment includes: 2x red, 2x orange, 2x yellow, 2x green, 2x blue, 2x purple. • Measures 9.5" x 11.5"